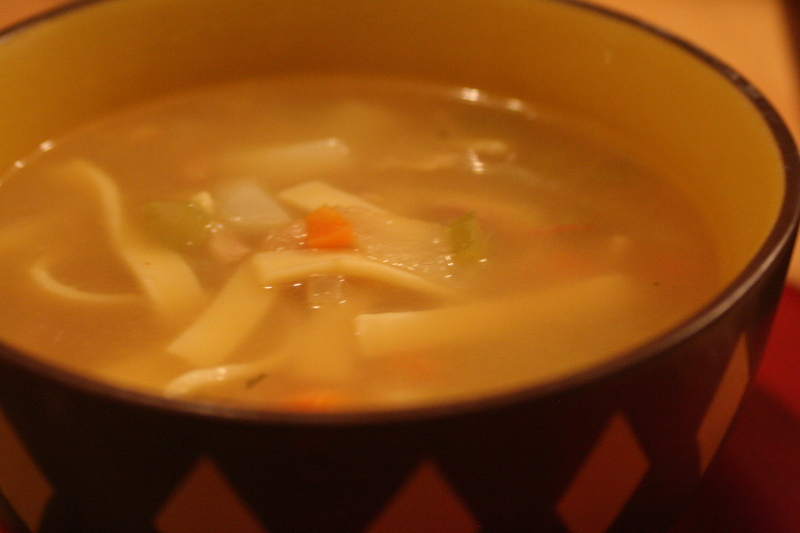 As I've mentioned before, soup is one of my favorite meals. It nearly always tastes even better leftover and it is so comforting which makes it perfect for weekend cooking! One soup I don't think of nearly often enough is Chicken Noodle. I would submit that it should not be reserved only for illness but rather that it should be enjoyed just because. It's delicious, it's easy, and it's family-friendly. I love chopping up leftover chicken and using it this way. In a large soup pot, saute celery, onion, and carrots in butter until onions are translucent. Add liquid and then the potatoes and chicken. Bring to a simmer. Add noodles (I use medium width) and parsley; continue cooking soup until potatoes and carrots are tender and noodles are fully cooked - probably 15-20 minutes but it depends on the noodles. Season to taste. Serve with bread, biscuits, crackers, or muffins.